Chino cloth is a kind of twill fabric, usually made primarily from cotton. Originally used in British and French military uniforms in the mid-1800s, today it is also used to make civilian clothing. 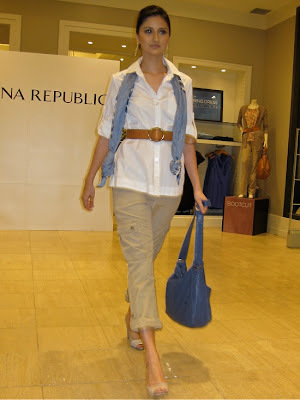 Chino pants gained popularity in the U.S. in the 1900s after military men returning from the Philippines after the Spanish-American War brought back their cotton military trousers. These pants were originally made in China. "Chino" is the Spanish term for Chinese, and most of the people who wear chino cloth, especially in the Philippines, are peasants (Camisa de chino); hence the fabric and these pants picked up the name. The first chinos sold in the U.S. were U.S. Army military-issue pants, and in order to save fabric during WWII-era constraints, they had no pleats and were tapered at the bottom of the leg. Though they are sometimes confused with khakis, as they are usually khaki in color, chinos are of typically dressier style similar to that of suit trousers and as such can be considered a smart casual form of dress.